Makoto Shimizu, more widely known simply as "Makoto", is a testament to the international scope and power of electronic music. 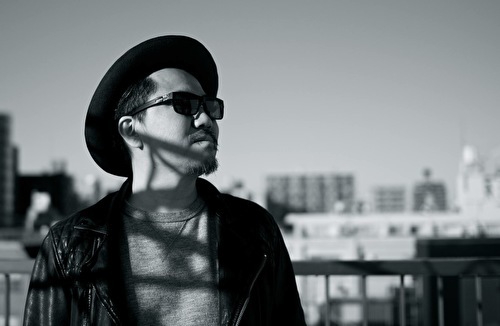 Born, raised and still based in Tokyo, Makoto was influenced at a young age by a wide variety of music ranging from classical to soul and funk. Upon hearing the soundtrack to The Last Emperor by the academy award winning composer Ryuichi Sakamoto, Makoto was so inspired that he made a life changing decision - to pursue a career in music. He went on to complete an Acoustic Engineering major at Nippon University, and having been introduced to drum and bass through listening to the radio shows of Giles Peterson on Kiss FM and BBC Radio 1, Makoto began experimenting with the genre through his own compositions. To him the appeal of this relatively new form of music was simple - drum and bass was just "very futuristic and cool". His productions were of such quality that they caught the attention of none other than the legendary LTJ Bukem, who went on to sign Makoto to his seminal Good Looking Records imprint in 1999. To paraphrase a lyric from one of his most famous tracks, music has never let Makoto down. Since that fateful signing in 1999, Makoto has gone on to be one of the most highly respected artists in the genre, pushing his unique blend of fast breaks and soul drenched music to every corner of the globe as both a DJ and a producer. His discography includes 2 LPs, Live DJ Mix, a large number of EPs and numerous tracks featured on the world famous "Earth" and "Progression Sessions" compilation albums. Some of his most notable releases include his debut album "Human Elements", which was released in 2003 and was widely praised for bringing the feeling of 70s soul music into the 21st century. He achieved industry wide acclaim through his powerful collaboration with LTJ Bukem's ever present stage partner MC Conrad in 2005 through "Golden Girl". The track was widely praised and played by DJs across the many sub genres of drum and bass and became a certified genre anthem all over the world. Incidentally, Golden Girl and 2nd Album "Believe In My Soul" were to be one of Makoto's final releases for Good Looking Records. With a slightly different direction and more creative freedom in mind, Makoto began to release music for other labels such as DJ Zinc's Bingo Beats, London Elektricity's Hospital Records, Fabio's Creative Source and of course, DJ Marky's Innerground Records. His musical connection with Marky runs deep, and was solidified with his very own mix cd released on Marky's label in 2009 titled "DJ Marky & Friends presents Makoto". The pair have gone on to collaborate and release a number of tracks together the most recent being the 12 inch single "Aquarius / Good Old Days". Alongside this hefty release time line and a touring schedule jam packed with gigs across Asia, Europe, UK and USA, Makoto has been busy setting up his own label - Human Elements Digital (known as HE:Digital). Focusing mainly on digital releases, the label has given Makoto an opportunity to not only release his own material, but that of others as well. In 2010 he released the compilation album "HE:Possibilities" through the label. The release was aimed at drawing attention to up and coming producers from Japan. More recently, he was proud to put out the charity compilation album "Something We Can Do" where all profits were donated to the Red Cross in Japan to help the victims of the tragic tsunami and earthquake which struck the country. Together with these releases, Makoto has also just finished work on his brand new full length album. Titled "Souled Out" the album features many talented vocalists and session musicians, and is a culmination of the breadth of experience and talent Makoto brings to each track which credits his name. The album is due out this year, and will definitely be another milestone in the prolific musician's already widely acclaimed career.